ST. GEORGE – As she stood atop the awards stand at the University of Montana’s Adams Center on Sunday, tears flowed freely for Rebekah Bean of St. George. Bean, the daughter of Tom and Laura Bean, has been competing since age 3. 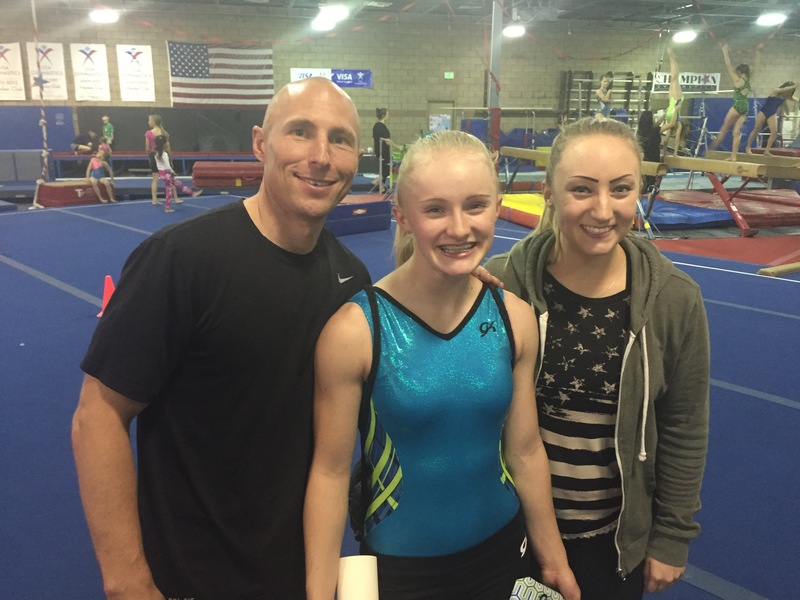 The sophomore at Desert Hills High School trains at Champion Gymnastics of Southern Utah under the tutelage of Jeremy Graff and Erika Almondinger. “I knew she had a great shot at winning,” Graff said. He added that Bean took pressure off herself by deciding that she was going to be all about team. The meet involved 450 athletes from 24 states from Minnesota west. Region 1 includes Utah, California, Arizona and Nevada. Region 1 won the meet. With a solid score of 9.775 on the vault, her best event, Rebekah Bean scored 37.750 to claim the title. The meet was her last of the season, but she will continue training as she prepares to move up to Level 10 competition in January. 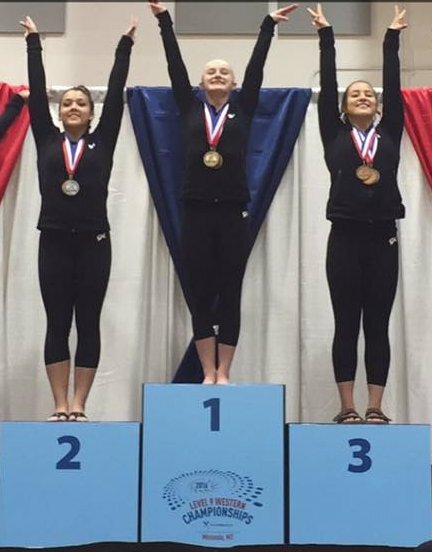 Although none of her gym mates competed in Montana with her, Rebekah Bean said there are other girls who push her and help her to become better, including one who competes at Level 10 and several other Level 9 athletes. Rebekah Bean has her eye on the prize as she continues to compete. Her scholastic future may include something to do with the arts or maybe graphic design, she said. Her mom said it is a lesson in the rewards for hard work.